Reed and the Cleage cousins in Indianapolis about 1920. Hugh Reed/Averette is the tallest one. 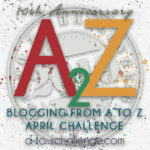 This is the 6th post in the February Photo Collage Festival and the Family History Writing Challenge. Today I am going to write about Hugh Reed Averette’s oldest son, Hugh Marion Reed Averette. The younger Hugh was born in 1910 in Indianapolis, Indiana. He was the second child of Hugh Reed Averette and Blanche Celeste(Young) Averette. 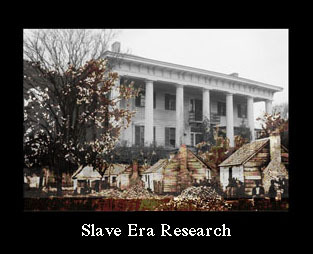 Sometime between 1920 and 1928 the family relocated to California. In 1930 they were living at 220 Welcome Street in Los Angeles. The house was built in 1895 and has 2 bedrooms and 2 baths. The house is 1,071 sq. feet. The lot is 4,768 sq. feet. I would guess there were not 2 baths in 1930 when Hugh’s family was living there. 220 Welcome Street in 2011. Google Maps. Hugh married Edna Marsden in 1930. He was 20 and she was 18. On his marriage certificate he gave the following information. Name: Hugh Marion Averette. Race: white. Occupation: book binder. Father: Hugh R. Averette. Mother: Celestina Joven. Place of birth: Michigan. Hugh worked as a book binder for several years. His son, Hugh Marion Averette was born in 1932 in Los Angeles. (I will not be talking about this son any more, any references to “Hugh” will be to the Hugh Marion Averette born in 1910.) Hugh appears on several voter registration lists. He voted Democratic. He and his wife Edna parted ways by 1936 when Hugh married Mabel Katherine Congrove in Clark County, Washington. 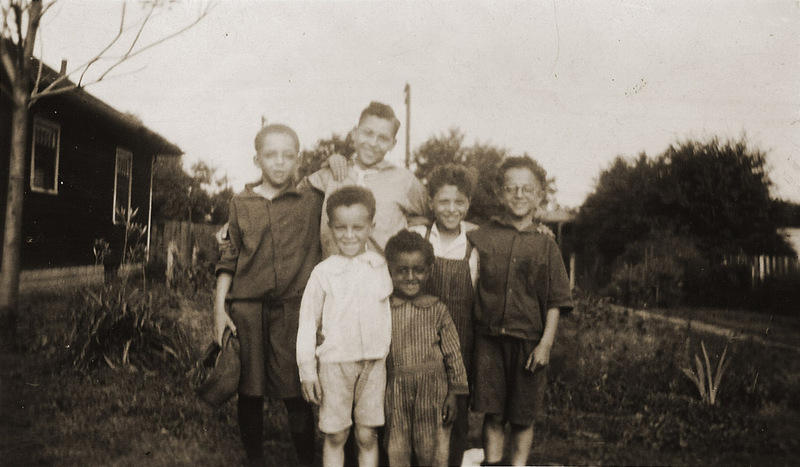 Mabel was the recent widow of Charles Sanford and brought six children to the marriage – Evelyn May age 7, Margaret age 5, Frederick age 4, Gladys age 2 and twins Donald and Ronald, 9 months old. Hugh adopted the children and they all went by the name of “Averette”. Hugh and Mabel’s son Beauford E. Averette was born in 1937 and named after his great grandfather, Buford E. Avritt. 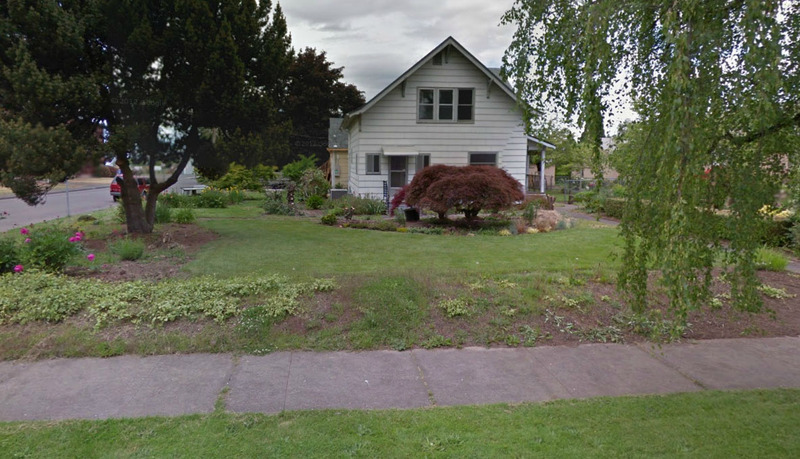 In 1940 the family lived in a rented home in Salem, Oregon. Hugh worked in housing construction as a carpenter. Both he and his wife had completed high school. She did not work outside of the home. Recent Goggle photo of 1310 Pine St, Silverton, Oregon – residence listed in the U.S. Public Records Index for Hugh. Their youngest son, Hubert Marion Averette was born in 1943. I don’t know if it was before or after the family moved to Silverton, Oregon into the house pictured above. Hugh died in 1993. He, wife Mabel and son Hubert are buried in Silverton Cemetery Marion County, Oregon. Photo by P Wilson Foley at Find-a-grave. I can’t believe it I always wondered about the background of my great great grandfather and grandmother Hugh and Celeste; I am their only biological grandson son of Hubert and Janice Averette. Both deceased; Mom April 2006, Dad in May of the same year. By the way my dad always told me that he was at the house in Salem. I know where it is. Yay! It’s so good to hear from you! I always wondered what happened to Hugh and his family. I guess it was pretty hard to find them before since they threw out some dead end information. If you want to email me my email is kcleage at google dot net. I’m the same Eric that got Kris rolling on the Averette trail. 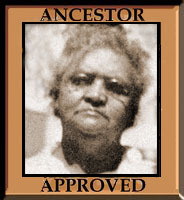 Hugh’s next older sister, Louise, married my wife’s great-great-uncle on her father’s side. And, the sister before that, Sarah, is my wife’s maternal great-grandmother. Kris still has one child to post here, Thomas, I may have found a Thomas Averette. He would be a great-great-grandson of Hugh’s as well. Also, there is additional information for Beauford Avritt’s family. I am working on the Thomas Perry Averette story right now. I got side tracked when I found he held several patents. I guess I will have to fully research and write up Buford Avritt, as you advised me to long ago. I wonder if they have done any DNA testing. I think that Hugh -> Thomas -> Pierre -> Thomas -> Thomas will also give you a DNA link if you can find him. HE and Alexandre would be able to confirm the Avritt as Hugh’s father. I’ve enjoyed reading your blog the last few days. I do appreciate your help in finding Hugh’s family. And you are right about the. Worth it though. How often do you find a lost branch of the family? I’ve enjoyed writing the blog these last few days too. It looks like it is still in good shape. Did they live there for years and years? Did you know your grandparents? Thoughout my life our family was always very close to my grandparents. As for their salem house I don’t know much about it; but spent so many visits at grandpa and grandmas Averettes house in Silverton thoughout the years growing up. He was brillant man she was a very intelligent woman tough as nails though; I miss them soo much. I was wondering after I wrote this piece why I never got any stories/memories from my uncles and aunts about your grandfather and his brother Thomas. I wish I had asked more questions. I’m glad he was smart and that you all were close. And that he had a good and tough wife. Actually I’m the only biological great grandson of Hubert Reed Averette. By mistake I had posted I am his great great grandson. Buford Avritt was my great great grandfather. Kris, I don’t know anyone who does family-history research better than you. In fact, you have no close second that I know of. My only very minor quibble is your non-standard use of commas, which could easily be addressed by consulting a good style guide, such as MLA or even the Associated Press, which journalists use. However, this is no big deal because your writing is both clear and accessible (which most egghead scholars fail at). Ok. I know this is driving you up the wall because you mentioned it before and even gave me a helpful tutorial. I can’t find the tutorial so I will go look. Right NOW! No, no problem at all. Most Americans don’t have a clue about American Standard English usage, as its properly called, and email and social-networking communications are making things much worse in that respect. Letter-writing, which used to be almost an art form, at least among middle-class people, is all but dead today. The only reason that I mentioned your non-standard use of commas — which does NOT interfere with your communicating effectively — is cuz I know that, unlike most folks, you CARE. You want your family-history stories to be as good as possible, which is why you invest so much in them (and why you have no close second with regard to their quality; I’m continually amazed by what you do). However, just in case, I’m sending the pdf to your email account. But don’t just go to the comma section under “Punctuation.” Also look up “comma” thruout the text. I think that you’ll find its guidance both helpful and fun. Too bad more people don’t care as much as you do about such things. As a result, they have no idea how much more effective their writing COULD. Alex, glad we cleared up the generational confusion. 🙂 What happened to your uncle who is a Beauford Averrette too? Thank you so much for posting this information! Hugh’s wife, Mabel, was first married to Chandois Sanford Warner, my great-uncle. He was born February 2, 1906 and died November 15, 1935. His parents were Frederick J. and Bertha Lee Warner. Chan (as he was called) married Mabel on May 15, 1928. I used to correspond with their daughters Evelyn and Gladys. I believe only two of the six children are still living. 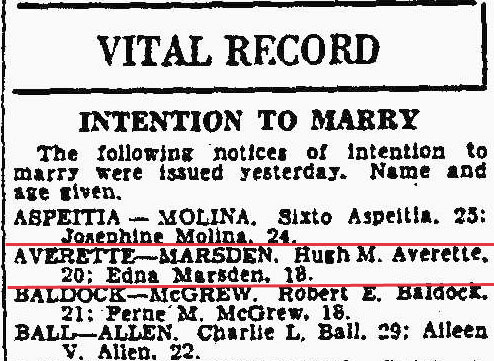 Also, I was told that Hugh never formally adopted the Warner children, but they went by the name Averette. Thank you again! It’s good to hear from you Patrick! I wondered if Hugh formally adopted them or if it was an informal adoption. They were so young when he married their mother. Thanks for the additional information too. Do you know how Hugh and Mabel met? Hi Suzanne! I’m so happy you found me. I have written you by email.